No matter how it changes over the years, E3 is still the biggest event in gaming. Whether it’s held at a hotel, a convention center or somewhere out in Hollywood, it is the definitive industry event of the year, where gamers from around the world get together to see what comes next for consoles, handhelds, PCs, mobile phones and everything in between. That said, while E3 2019 has the heritage of the world’s most illustrious gaming convention, this year’s show will be a bit different: EA announced recently that it wouldn’t hold a traditional press conference and would opt instead to host several smaller live stream events, while Sony says it won’t be attending the conference at all. If E3 is your go-to source for gaming news, that may raise a few questions: Will E3 still be the same? Is it dying? Does that mean we’ll all get a discount on a conference pass? The answers to all of the above, for now, are no. While we won’t be sure exactly what’s going to be different about this year’s event until we get there, we can hopefully provide some insight – and some predictions – as to the games we’ll get to see at this year’s show. 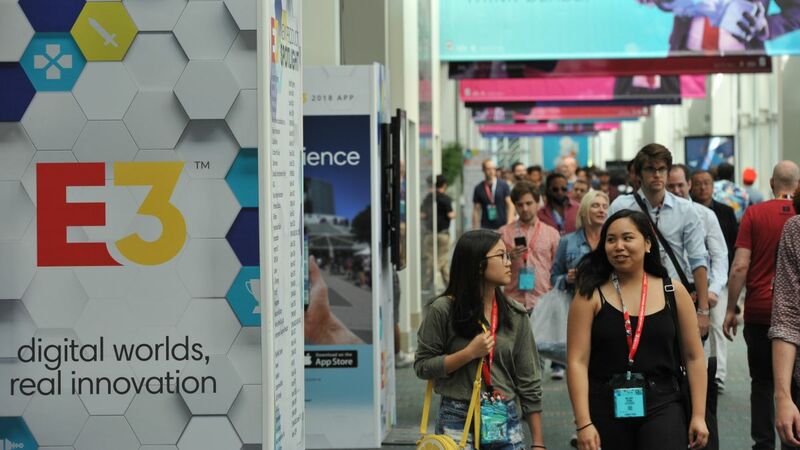 Officially, the 2019 Electronic Entertainment Expo (E3 2019) will begin on Tuesday, June 11 and end on Thursday, June 13. Those dates, however, are just for the portion of the show held inside the Los Angeles Convention Center. In reality, the first big event of E3 2019 is the EA Play kick-off event that’s slated for Friday, June 9 at the Hollywood Palladium. While EA has told us not to expect a keynote speech, that Friday afternoon is the first time we’ll be able to play the publisher’s upcoming titles, as well as get some info about games coming out in the next year or two. Between EA Play on Friday and the opening of the show floor on Tuesday morning you can also expect a press event for Microsoft sometime on Sunday afternoon with a chance of Bethesda, Square Enix, Ubisoft and Nintendo announcing a keynote later. We expect to be in Los Angeles from Friday until Thursday, and gamers with an entry pass should try to do the same. EA has an early lead going into 2019 with its plans already detailed on the publisher’s website. To that end, EA says it will be hosting its annual EA Play event from Friday, June 7 to Sunday, June 9 with free tickets to be distributed shortly. While EA hasn’t told us which games, exactly, it’s bring to E3 2019, chances are good we’re going to see Star Wars Jedi: Fallen Order from Respawn Entertainment, as well as some addition to the Titanfall universe – either a second spin-off title or Titanfall 3. Speaking of Respawn, we’ll also likely hear about its plans to expand its successful battle royale shooter, Apex Legends. Elsewhere inside EA’s event we’re predicting that we’ll see announcements for the next version of the Madden, FIFA, NHL and NBA Live franchises, as well as another expansion for The Sims 4 that might continue StrangeVille’s story-first approach. Less likely but still possible are new games from EA’s DICE studio, the developers behind the Battlefield and Star Wars Battlefront games who have yet to announce a project for 2019, as well as projects from PopCap (famous for Plants vs Zombies) and Ghost Games, the new stakeholders of the Need for Speed franchise. Last but not least, BioWare debuted a teaser trailer for Dragon Age 4 at last year’s The Game Awards, and we expect to hear something about its development at EA’s event. After the long-awaited release of Kingdom Hearts 3 in early January, Square Enix has been fairly quiet. What we know for sure is that Square Enix is currently working on Dragon Quest Builders 2 on Nintendo Switch, as it was announced during a Nintendo Direct earlier this year, as well as Dragon Quest XI S: Echoes of an Elusive Age – Definitive Edition. Outside of those two games, it’s likely we’ll hear more about the next episode in Life is Strange 2, as well as DLC for Kingdom Hearts III. Less likely but still possible is the chance that we’ll hear about The Avengers Project that’s being developed by Crystal Dyamics and Eidos Montreal and Final Fantasy VII Remake which, back in 2017, switched developers from CyberConnect2 to Square’s in-house team. ‘But is it too early to hear something about Final Fantasy 16?’ Yes. Yes, it is. As of right now, Microsoft is the only one of the big three console makers that’s definitely going to E3 2019. That gives Microsoft a bit of an advantage if it decides to debut its next-gen Xbox codenamed Project Scarlett, and it might be the reason why Sony is avoiding the show altogether. While we’re still not sure exactly what Microsoft is going to show us in terms of hardware, chances are good we’ll at least see the new Xbox One S All-Digital Edition somewhere at the show, either on-stage during the keynote or, in the case it releases beforehand, throughout Microsoft’s booth on the show floor. We’ll also hear more about XCloud, Microsoft’s new game streaming service and new updates to its Xbox Game Pass subscription service which has grown immensely in the last 12 months. Less likely, Microsoft could have demos of the HoloLens 2 in a similar setup to a few years ago when it paired the hardware with a demo of Halo 5: Guardians, but that’s on the far fringes of what’s likely to happen. In terms of games, we’re predicting that Microsoft’s first-party studios should be there in full force with new footage of Gears 5, Halo Infinite and, as always, a new Forza title. Last year Microsoft announced the acquisition of several new studios including The Initiative, Undead Labs, Playground Games, Ninja Theory and Compulsion Games, so hopefully we’ll start to see some of the projects these companies have been working on. As of right now, Bethesda has yet to confirm its regular Sunday-evening keynote ahead of the conference. It seems likely that they’ll keep the tradition going another year, but there’s always a chance they could pass or change up the formula the way EA has done. That said, if Bethesda shows up in its regular slot, it should have a lot of interesting games to show off. It’s almost a given that we’ll hear updates for legacy titles like The Elder Scrolls Online and Fallout 76, two of the developer’s largest MMOs to date, as well as the previously Doom Eternal from partner iD Software. In between bombshell announcements, we’re also likely to hear more about Bethesda’s free-to-play and mobile offerings like Elder Scrolls Blades, which is due out later this year, and The Elder Scrolls: Legends, a free-to-play card game that’s in the same vein as Hearthstone. What’s harder to predict is if Bethesda will show up with new trailers for the next hotly anticipated entry in the Elder Scrolls franchise, Elder Scrolls VI, and its ambitious sci-fi project, Starfield, that only received a teaser trailer at E3 2018… but we can hope. Sorry guys, unfortunately Sony is skipping the E3 festivities this year and has said that it will instead find another venue to showcase the games and hardware coming down the pipeline. We’ll have more info on this shortly, but for now, we’ll just have to wait to hear more about The Last of Us Part II, Death Stranding and Ghost of Tsushima. Another entry in the unconfirmed-but-will-likely-attend category is Ubisoft. The developer-slash-publishing house has a lot on its plate for early 2019 including Tom Clancy’s The Division 2 as well as Trials Rising, both of which came out in the February-March window, but hasn’t said what’s coming later this year. The game we know the most about from Ubisoft that would likely be at this year’s show is Skull and Bones, the ship-focused combat game that looks to carry the torch from Assassin’s Creed IV: Black Flag. Ubisoft has yet to give us a solid release date for the game, but it’s likely that’s the sort of thing it’s saving for an E3 2019 keynote. It’s also likely we’ll hear more about Beyond Good and Evil 2 and potentially get our first look at the gameplay at Ubisoft’s keynote… but that could just be wishful thinking on our part. Beyond those two games, we’ve heard rumors that Ubisoft will announce three to four new AAA titles in between March 2019 and March 2020, but we can only speculate what’s to come. The only franchise that’s definitely not going to be there is a mainline Assassin’s Creed game as Ubisoft has said that it will be skipping a release in 2019. If you’re a PC gamer, you won’t want to miss the PC Gaming Show, which will make its fifth consecutive return to the convention. We’re not sure what to expect from the two-hour event, but if it’s anything like previous years it will feature a number of indie games that wouldn’t usually get time up on the big stage alongside hardware announcements. While Sony won’t be at this year’s event, Nintendo most certainly will – first digitally in a Nintendo Direct that usually airs Tuesday morning and then physically when its massive booth takes over West Hall. In terms of what games Nintendo is going to bring with it this year, it seems likely that we’ll hear more about Pokemon Sword and Shield, as that’s due out by the end of 2019, as well as well as Animal Crossing on Nintendo Switch, which was announced in 2018, and given a 2019 launch window. Fans of The Legend of Zelda franchise have the Link’s Awakening Remake to look forward to while fans of Mario will likely get a chance to play Mario Maker 2 on Nintendo Switch – as that’s due out sometime in June. Last but certainly not least, we couldn’t leave out Devolver Digital, who has confirmed via Twitter that it would be posting another off-the-wall pre-recorded keynote which may or may not involve fictional CEO Nina Struthers. Expect it to be just as weird as year’s.